Country’s second leading car manufacturer Hyundai Motors has confirmed that it will launch its upcoming crossover i20 Active in Indian car market on March 18, 2015. 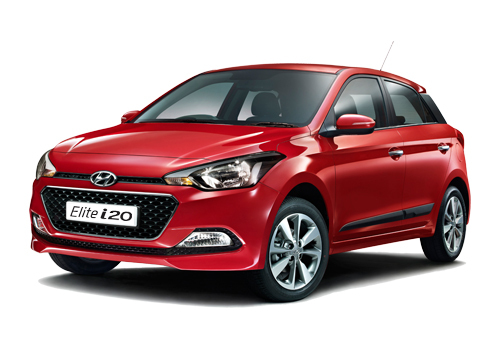 The rumors regarding launch of crossover by the car maker got fired after successful launch of Elite i20 hatchback in Indian car market, and therefore the upcoming crossover will carry most of its cues from this hatchback. After launch the crossover will compete against Volkswagen Cross Polo, Fiat Avventura and Toyota Etios Cross. Under the hood crossover will continue with the same engines configuration as offered in Elite i20 with petrol trim equipped by 1.2 litre Dual VTVT Kappa petrol engine boosting the power of 82 bhp and torque of 115 Nm. Whereas the diesel trim will be empowered with 1.4 litre U2 CRDi diesel mill generating the power of 89 bhp and torque of 220Nm. Although the crossover carries most its physical appearance similar to its sibling hatchback but still it carries some differentiating features which will make it look different from Elite i20.The highlighted features offered in i20 Active are body black plastic cladding, large circular fog lamps, projector head lamps, daytime running lamps, roof rails, skid plate, new alloy wheels followed by improved suspension system.